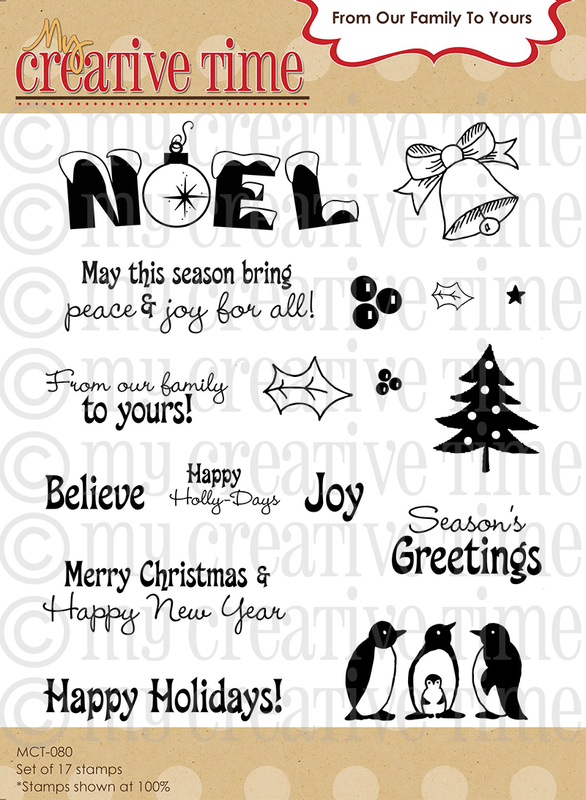 Good Morning & welcome to our 2nd Day of our 12 Days of Christmas!!! WOW, I REALLY hope you enjoy what we have for you today!!! For this project, I decided to use "Shrinky Dinks" again! 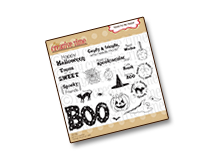 BUT, I decided to use my FAVORITE Peachy Keen stamps w/them! I hope you enjoy my video showing you how these AWESOME necklace, bracelet & earrings were made! 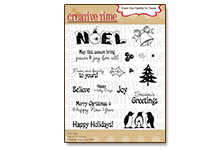 PKS stamp set used "Peachy Keen Santa Set"! 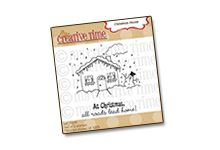 PKS Stamp set used "Snow Head Ornament One" & this Acrylic Snowman Ornament! 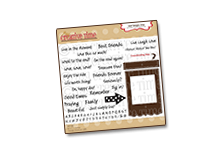 PKS stamp set used "Colby & Jack Cheese Set"! OMG, Peachy Keen Jewelery I LOVE IT!!!!! Know I want some LOL.. Thanks for the chance to win..
How stinking cute are these!!!! Great job! These are really cute. My granddaughter would love these. This is fantastic!! I can't wait to try it. Thank you!! I've never tried shrinky dinks. These are so cute. Maybe I should expand my horizons!! Thanks for the inspiration. Oh my these are adorable! Peachy Keen jewelry...What a cute gift idea! I love it! What a great idea! Your jewelry came out so cute. i love using shrinky dinks. have you tried using your heating tool to shrink them? that is what i usually do. love all your projects! Emma - You make a FANTASTIC jewelry model! These all came out super cute. These are amazing!!! I am super impressed!! I love it!! The great things you come up with. How adorable. Wow, this jewelery is soooo darn cute! 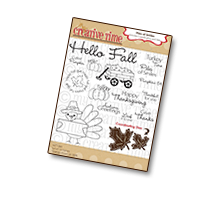 I really need to put shrinky dinks on my shopping list for Michaels - I STILL haven't tried it! OMG, OMG Emma!!! These are super cute!! You have some awesome ideas in your head!!! Love them! Super cute Emma. Thanks for sharing. Your a Shrinky Dink addict Emma lol...I love this jewelry. I just picked up some Shrinky Dinks the other day to make some jewelry for the fam. Thanks for showing us how to use it with stamped images. Oh My! This jewelry is just so stinkin' cute! 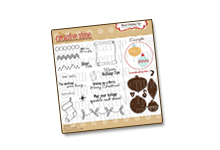 I love how you used your Peachy Keen stamps to create these. Love it! Toooo cute Emma. I love them all and what an awesome gift idea. Oh My Heavens! I LOVE these. My 5 year old watched with me and has asked for one of each! You are so clever! This is GENIOUS! And so adorable too! I love the Peachy Keen jewelry!!! This is such a cute gift idea. I think my niece would love it. I will for sure be trying this. Thank you so much for sharing. OMG! They are so cute, what a pretty little Christmas gift. You are so talented. I added your 12 day blinkie to my blog. Also headed over to Nikki's blog right now. Another idea for using PKS items, love it! I may have to give this a try, like soon! Thank you for sharing with us. Keep up the great projects. Love those Emma, especially the snowman necklace! Thanks for the great idea for cute gifts. Too cute!! 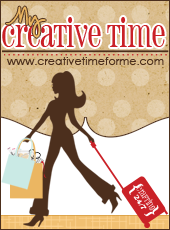 Such great ideas for great gifts...I'm loving it. Can't wait to see whats to come. Thanks for showing a project that was "imagine-like". (I'm sad because I don't have an imagine.) AND that Santa is the best! Cute jewelry! Never tried that before, might have to give it a whirl! I didnt know that u can stamp on shrinky dinks....that awsome....i think i have to buy some when im in the us. Love it! Will have to give this a try with my daughter. Thanks for sharing! Too cute! I've got to get some of that Shrinky Dinks paper! 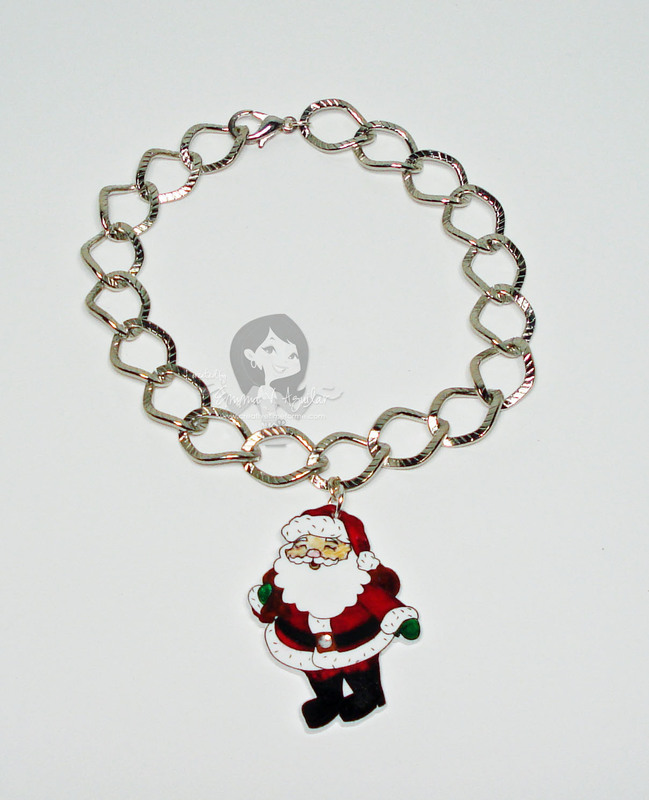 Super cute project - I LOVE the red Santa! Love these oh so cute items you made. I have to try these out. Thanks for a chance to win. 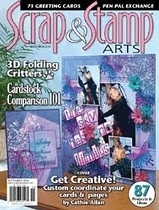 I remembering working with 'skrink it' many years ago, Wow by using PK stamps has it ever brought in a new dimension. Thank you for working with this product today, great projects! This is just tooooo cute!!!! I am looking for them online to buy right now!!!! OMG! These are adorable. I will have to look for the Shrinky Dinks. I think the mice earring are my favs! love the braclets so cute. just got my frist set of stamps from peachy keen love them. So super cute! My 2 yr. old saw the Santa bracelets and has requested a "beautiful" bracelet of her very own. Guess I'll have to head to Michael's for some Shrinky Dinks. ;) TFS! so cute I am loving those! I am going to have to order some shrinky dinks! These are just too cute! This is just too cool! I love these projects! They are adorable! Thanks for the chance to win! these are so cute! What awesome xmas gifts! Those are adorable. My mom would love those. Thanks for sharing. wow, yours turned out great. i did not like the way my copics colored, seemed streaky to me. But now I have to try again. thanks for the ideas. Question: I've been told that Staz-on will ruin your Copic Marker tips. Did you stamp on one side and color on the other? Super cute!! I ♥ the snowman. Thanks for sharing!! All of your jewelry is oh so adorable! I love it when you step outside of the box with different projects. Thanks for sharing and the opportunity to win. Miss Emma...you just have the best ideas ever. I want to make everything you make. Thank you. You are soooooo creative! Love Love Love it. You are such an inspiration! Adorable! You have now given me an idea for gifts that my girls can make and also for a special project for my daughters birthday party this weekend! This is such a cute idea, thank you for sharing. My kids would love to do these!! Wow Emma. I love them!!! I didn't even think of using stamps on it. Now I have to go buy the shrinky dink paper! :D Fab job as always. OMG...How adorable! I love the earrings. Colby and Jack are the cutest ever! Such a cute gift ideal, love it! These are so cute Emma! Those mice earings are DARLING!!! Your jewelry is precious. I've bought some shrinky dink plastic but haven't used it yet. You've inspired me to give it a try kgeadams at gmail dot com. All your jewelry was adorable! Now i have to go out and buy me some shrinky dinks to try out! The jewlery is so cute... I know what my granddaughter is getting for a stocking stuffer! OMG, these are so cute! I'm totally pulling out my stamps to play today :) Thanks for the inspiration. I've added the blinkie to my blog also! i have have to try this. this is way too cute. My lil girls would love'm. awesome job. Emma so so cute, I love them! Great idea:) I have to try this, my little girl would love this!! Thanks for sharing!! Oh my goodness. 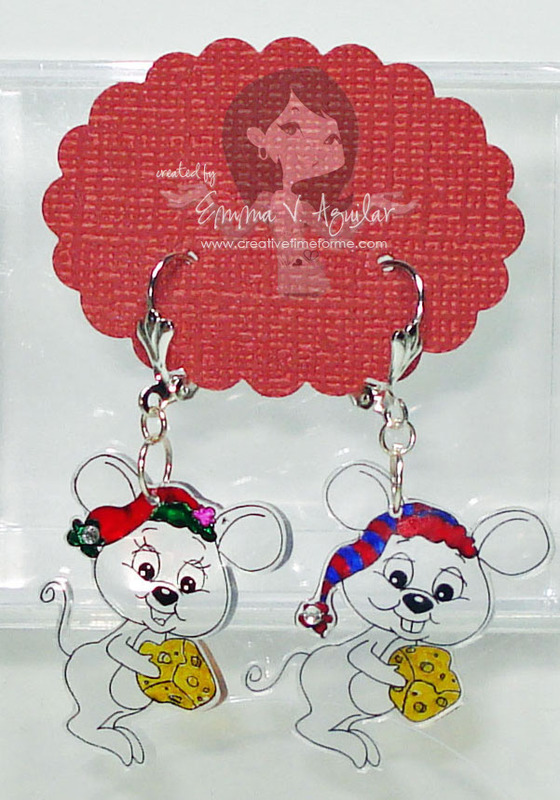 I love the mice earrings. I almost ordered them on my last PK order. They will be on the next on for sure. Emma I love all of these but the snowman is my favorite. You have out done yourself again. So cute I think I will make some for my little neighbors. I just love how the PKS came out now I want them to. Thanks for sharing. WOW!! Those are just adorable. I will have to give that a try. Thanks for a chance to win. 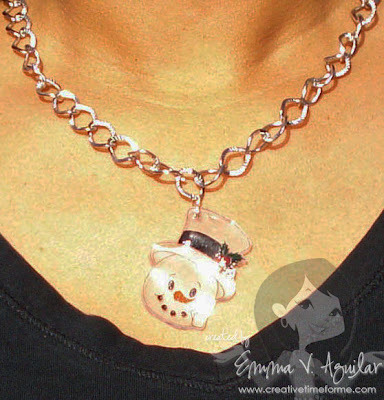 OMG wayyyy too cute!~I've never used the Shrinky Dink....have to try it now! TFS!! I love this stamp set along with all of them lol...Such a cute project Emma, they turned out so adorable. Great job! These are so cute!! Thanks for the video, I actually bought some shrinky dink, and had never used it yet. It always makes me feel better to watch a video first. I'm going to try it tonight! Thanks again!! soooo super cute miss emma! i need shrinky dink paper! Oh My Gosh! These are just to cute! These are so great! what a wonderful idea! Fantastic idea! Thanks for sharing your talents. WOW great project. So cute! Emma those are just as cute as can be. I think I might need to find me some shreky paper and make some. What a great gift idea.. I'm thinking it would be great for Grandma's.. I did it! I added your blinkie, it wasn't hard! Awesome Miss Emma i love them in fact i recently bought a bunch of chains and hooks to try all of this. I can hardly wait. xmas presents for the granddaughters. OMG!! This would be a great rainy/sunny day project for grandkids. Off to find the packages. Are we supposed to let you know of our blogs if we got your blinkie?? LOVE the shrinky dink thing and the PK stamps are PERFECT for this. Wow Emma, these projects are super cute!!! I bought some shrinky dink but haven't use it yet. They're all really cute, but I adore the little Santa. Wonderful projects as always Emma! I need that stamp set because I seem to be biting people's heads off with all the stress of the holidays lately. It would come in handy. 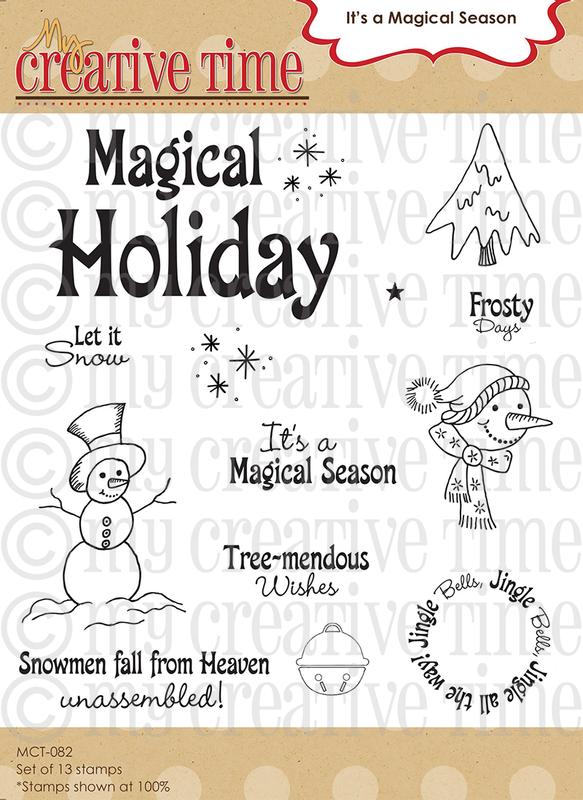 Adorable, the snowman is my favorite,... Im going to find some shrinky dinks and try that..
Wow! This is sooo cute/cool!! I love it! The projects you have just keep getting cuter and cuter!! You are such an enabler!! my shopping list is growing! Too freakin cute Emma!! I didn't want to come and look cause I knew I would add something new to my shoppin list lol!! I really enjoy your projects!! wow what a nice project. I haven't played with them for years. Love these! I have wanted to try Shrinky Dinks for a long time. Thanks for the inspiration!! Oh my goodness those are absolutely adorable!!! Peachy keen stamps are so awesome and now they make the cutest jewelry pieces!! OMGosh Emma, these are just too, too cute...everyone of them!!! You are sooo creative thanks for sharing your technique with us who don't have an Imagine (yet)! 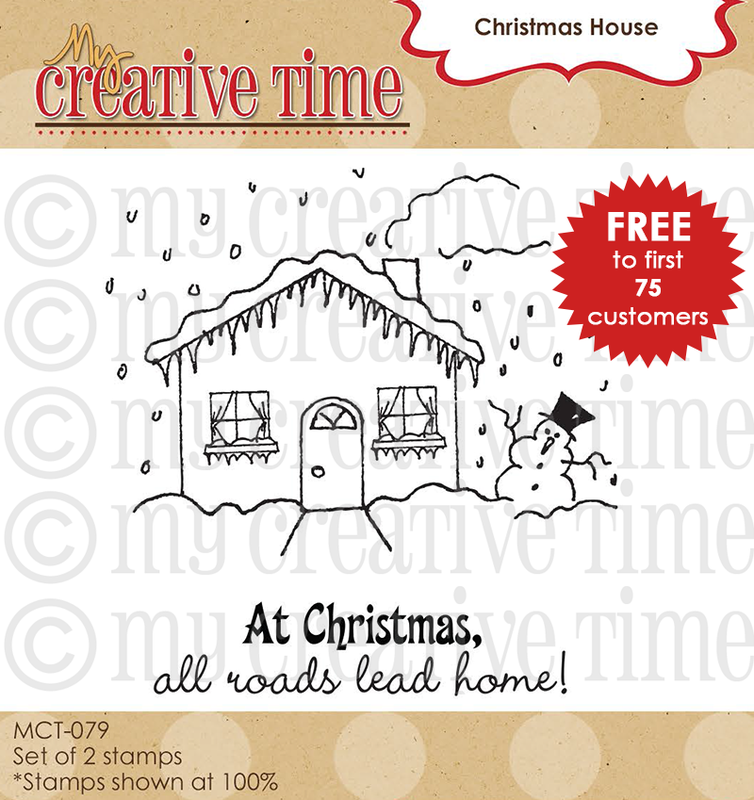 And thanks for the chance to win that adorable PKS stamp set! I love this!!! 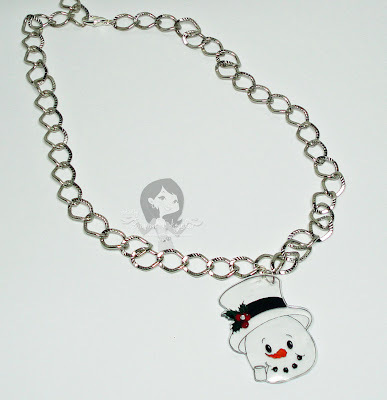 The snowman is my fav, only because I <3 snowmen!!!! The Santa is my favorite, but they are all very cute. I posted your 12 days blinkie on my blog. I am such a novic at this blogging and I can't for the life of me figure out how to grab your blinky, would you show us in a video...hopefully I am not the only one that can not figure it out. It's amazing what you can do with the Peachy Keen Stamps Emma! The jewelery turned out beautiful! So cute. Love shrinky dinks. Your nieces will love ththe charm bracelets. Once again you did a fantastic job. I just love PK stamps. I'll have to get them all out for this holiday season. Tbanks for this video Emma, you're awesome. What a great gift idea!!!! Thanks for sharing these are cute and very perfect for gift giving! Love the earrings Emma! Too cute! I love it!!! That is so adorable! Emma cute as always! Love them all. So cute! Peachy Keen jewelry wow! Everything was so cute!! Thanks for sharing!! I wanna break out my shrinky drink material. Great idea! What cute jewelry for the Holidays. Luv it. These are so cute! I made some Christmas bracelets this past weekend with my nieces. They turned out super cute will post pictures soon on my blog. However, I did not seal them and when they got wet the ink smeared. Does anyone know what to use to seal them with? I just grabbed your blinkie. These charms are sooo cute Emma! Thanks for sharing your creativity! These are just as cute as can be!! I love them. So adorable. Hi Emma, oh my goodness, are those ever so CUTE! I love the 'Colby & Jack Cheese' earrings. Now, I want to go make some. Thanks for your inspiration! How cute. I never thought of using shrinky dinks for stamps. Thanks for the inspiration. Too cute! I love the snowman! These are so cute tfs. I cant wait to try this. 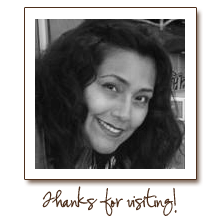 Stop by and visit my blog hop if you get a chance tomorrow. Emma thoswe are sooo cute!Thanks for sharing. Cannot wait to try this out. These are super cute! I love Shrinky Dinks! Thanks for sharing! ADORABLE! I want them! Such a great job! I have been contemplating whether or not I want to try this and now I'm convinced I do. Love the snowman. this would be fun jewelry to make with our children. thanks for sharing with us. omg these stamps are so cute. i need to incease ny stamps and ink pads. do not have that many. 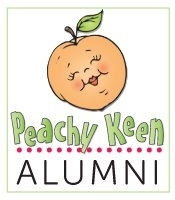 only one set of peachy keen stamps. Cute...I have some shrinky dink I need to use..
Oh Emma- Wow!!! You have me sooo hooked on this...they are so cute and such a great idea. I just love what you come up with... just charming!! Emma these are adorable!!! Love them!!! I have to try this one. I love her distress looks... LOL!!!! What great ideas! I know what I am making for some gifts for Christmas. I have no money this christmas but I do have Shrinky dink paper and markers in my stash and I think I have most of the findings as well. How much fun!!! How cute are those? Love em. Your jewelry is soooo cute. I love it. Hi Emma. These came out wonderful! I had started a keychain project with PKS using the same materials for one of the past challenges but ran out of time. You just encouraged me to pick it up again to complete.... will send pic when I am done. Love your inspirations. Very cute! I love it, I think I'm gonna have to buy some Shrinky Dink! Thanks for sharing Emma! Great...now I have to try these...LOL Thank You for showing how they work. How much would you say they shrink? Thanks again for the video. OH Emma, I need to buy my set of PKS and the Shrinky Dink! Thanks for sharing!!! Wow, shrinky dinks! Never would of thought of using these. What a unique and cute project. Thanks for sharing. Adorable projects! I used to make the fridge magnets with the shrinky dinks. I really need to make some more for Christmas. Thanks for reminding me of some of my forgotten craft items. Very cute. 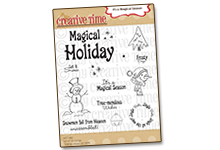 That idea can be used for any holiday or event through out the year. Really like that chain too. I have got to get me some of this Shrinky Dink! I used it many years ago! Ca-UTE projects! TFS!! Emma, those are awesome... I am giving you a Blog award... check it out at my blog: tukistryingtoscrap.blogspot.com!!! Thank you for being an inspiration! OMG!!! Toooooo cute!!!!!!! I have to give it a try:) Thanks for the chance Emma. What a cute and creative way to use our Peachy Keen's! These are so stinking cute. I love them. I am going to email Paula from Mpre than Favors and ask her to do them. She lives really close to my home. Thanks for sharing and a chance to win. Wow! You guys are so creative. Who would have thought you could do this! Great idea, love it! !